Five people were injured in San Gabriel, California after the driver of dump truck lost consciousness and crashed into eight different cars while being chased by terrified motorists. 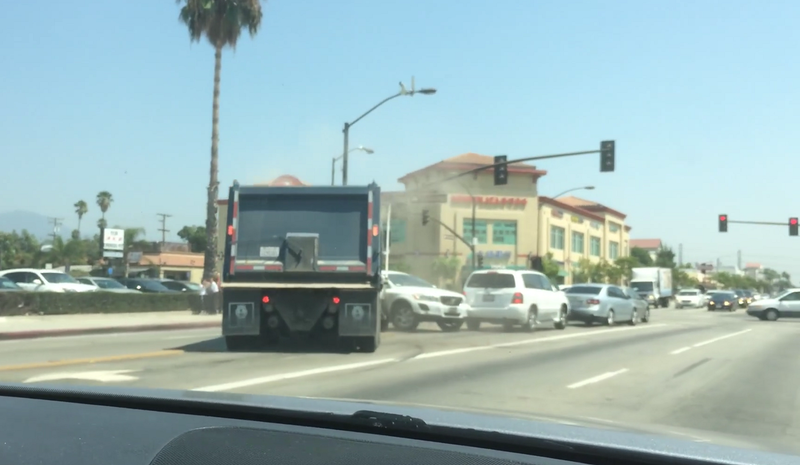 The video, posted to Facebook by KTLA 5 News, shows footage recorded by the terrified motorists watching helplessly as the dump truck caused three separate crashes, finally stopping after hitting a chain of cars in an intersection. In total five people were injured and eight cars were hit, and according to police, the driver of the truck may have suffered a medical episode causing a lapse in consciousness, according to CarScoops. I mean, what do you do in this situation? Honk?